↣ What is beerstone (and how to remove it)? There is a silent but deadly beer killer out there. The scourge of brewing kettles and kegs everywhere, beerstone can be a key element in causing off beer. Beerstone is a kind of scale known as 'calcium oxalate' (C2CaO4) in the brewing industry. This precipitate is largely due to a reaction between alkaline cleaners (e.g. caustic soda), hard water minerals (think calcium and magnesium) and protein in the form of amino acids. 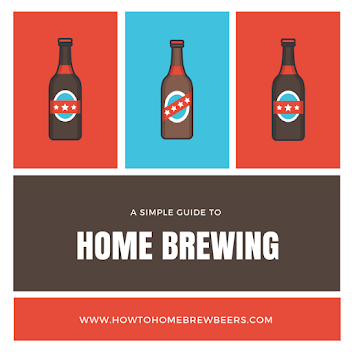 It affects both the home brewer and commercial operations. Perhaps unsurprisingly once you've learned about the science, the milk industry has similar problems with buildup on milking machinery and milk vans. That industry calls it, yes you guessed it, milkstone! How does beerstone ruin beer? The development of beerstone leaves an unsanitary surface on the keg or kettle or other brewing equipment that offers an environment that can harbour microorganisms. At it's most minor interference with the beer, beerstone can cause those classic "off flavors" or even shorten the shelf life of your batch. In the worst case scenario, unwanted micro-organisms can wreck an entire batch of beer which is a waste of good beer, a waste of money and a loss of your precious brewing time. The organic compounds found in the wort and beer will combine with metals in the water - usually calcium and magnesium to for the oxalate. It is a white, crystalline precipitate - which makes its initial appearance hard to detect with the naked eye. Beer bugs will then find a home in the calcium oxalate - and here's the kicker - this environment allows the microorganisms to avoid contact with your cleaning regime and, believe it or not, sodium hydroxide (NaOH) can then help form a cover by creating additional precipitate because the caustic agents react with the CO2 (given off by the fermentation process). It's almost like you can't win! So how do you remove beerstone? 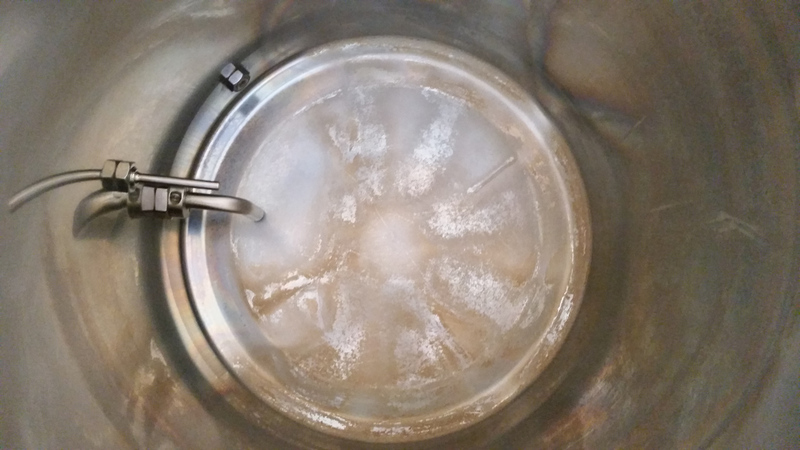 Rinse out beer and yeast with ambient temperature water. Use a 1-2 ounce per gallon phosphoric/nitric acid mixture (140°F maximum temperature) for 15-30 minutes. Do not rinse the solution out. Use a noncaustic alkaline cleaner at 1-2 ounces per gallon of warm (120-140°F) to start. CIP for 15-30 minutes depending on conditions. Rinse with ambient temperature water until the pH of the rinse water is neutral (same pH as the tap water coming in). If it's not clear, you'll need to fire up up your gas burner to get the solutions to the correct temperature. Any residual 'soil' adhered to the metal can be removed with a high-pressure hot water rinse or simply wiped off as it should now be quite soft. If you need to do a scrub, use a sponge or scrubber that will not scour the metal. The entire method should be followed. This is because the acid mixture does not remove the stone, it softens up the scaling so that the alkaline cleaner has the chance to do its magic. If it's so easy for brewers to not notice that beerstone is 'scaling up' how can it be prevented from occurring? The key is to mix up your cleaning method by using strong acid solutions are the quickest and most effective way to remove beerstone from stainless steel surfaces. Hydrochloric acid is a popular choice but you should not use it every time as it could cause pitting. When using strong acids, be wary of their corrosiveness on metal. Brewclean is a product that can help prevent the buildup of brewstone. Specifically designed for cleaning homebrew kegs and brewing equipment, it is non-corrosive so it will not cause rust on kegs or other homebrew equipment. The wetting agent (surfactant) helps remove beerstone and other 'soils'. It's a good alternative to using sodium hydroxide. You should be quite careful when using these kinds of acids and alkaline solutions as they are pretty potent and can do some real damage if you come into contact with them. A splash of chemical cleaner in the eye is pretty damaging and painful, trust me I learned this lesson some years ago and it cost me a trip to the hospital!